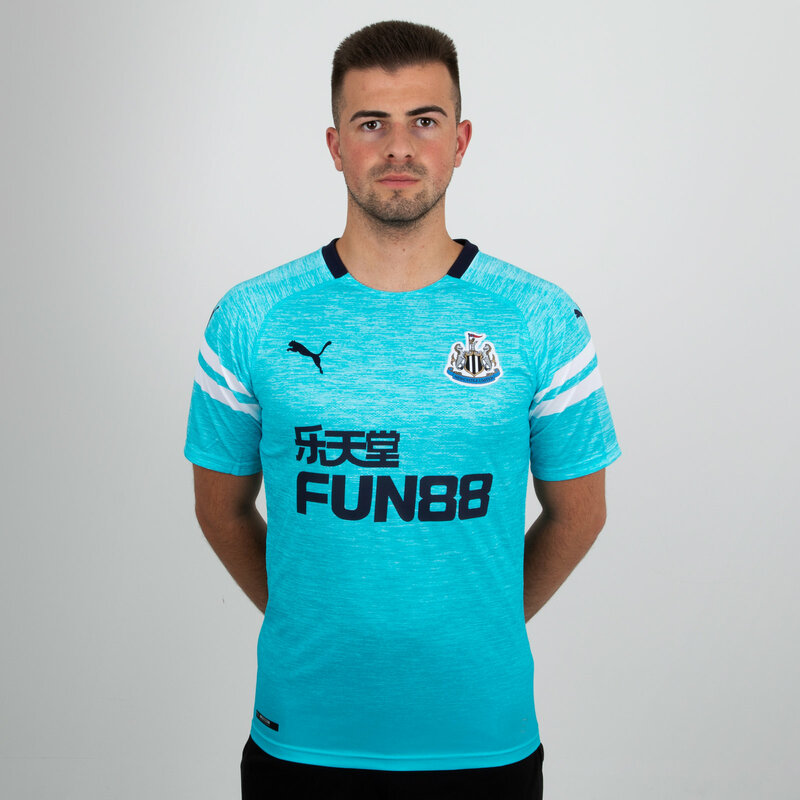 Newcastle United football/soccer T-shirts & jerseys for sale which you can buy now online right now! A prolific scorer for Second Division Luton Town, Macdonald joined the Magpies for a fee of £180,000 in the summer of 1971. Macdonald scored 138 goals from 257 apperances including a hatrick on his home debut against Liverpool. top scorer in each of his 5 seasons on Tyneside he decided to join Arsenal for the strange price of £333,333.33, his career was cut short by a knee injury that forced him into retirement at the tender age of 29. During the TV show Superstars, MacDonald ran 100m in 10.4 seconds - on a cinder track with heavy spikes. At the time that made him the third-fastest sprinter in the UK and could have got him on the 4x100m relay team for the Montreal Olympics.